Ceramiche Sonda di Rosà (Vicenza) is a company that designs the future, anticipating market requirements and through frenetic innovations wishes to keep its customers always attentive to everything that is produced by the factory . 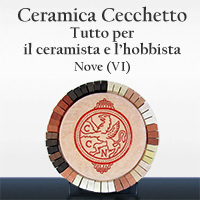 Ceramiche Sonda is one of those few companies that are renewing their assortment of new models and new designs. Their floral creations enrich a range of hundreds of small and big models. As you can see from their Facebook page, their customers are eagerly waiting for the new arrivals to furnish their homes with bright floral arrangements that are great for their living rooms with groups of figures, paintings and colourful animals. Keeping itself at pace with novelties it has also been able to bring forward the quality that always starts from the best materials and continues with the right chemistry that it has managed to build with their staff, all very valid artisans who work with joy, in this factory in fact I have noted there is always a smile and this I think is one of the main ingredients to have a nice and organized production.